When you’re new in Lund there’s a thousand things to be done all at once, and sometimes it’s hard to know what’s what. If you are a new student at Lund University we call it being a novisch. If you’re reading this then you’ve found your way to the website of Sydskånska Nationen (“The Southern Skåne Nation”). But what exactly is a nation in Lund? The short answer is that a nation is your second family, that takes care of you and makes sure that your time in Lund will be as memorable as possible! The long answer is too long to write here, but the gist of it would’ve been that the University is in charge of your education, the corps work to improve the conditions of your education (and also oversee most of the student orientation) while the nations “work for the well-being of the students”. That means that we every week arrange everything from clubs and pubs to cafées, movie nights, and “sittnings” (a sittning is basically a large event where you eat and drink and sing songs with your friends). Sometimes we also arrange more culturally inclined events, such as formal dances, opera visits, and salsa courses. On the flip side, we also arrange some crazier things, such as lasertag and the Tandem relay race. Basically, we do anything that’s fun! Nations are run completely by student volunteers. 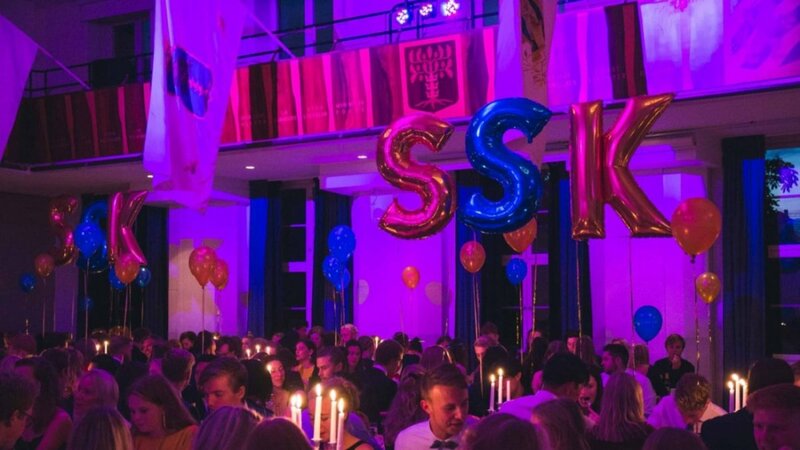 If you’re new in Lund the nations are one of the best ways to meet new friends, and we want to recommend everyone to become active in the nation life, we promise you will not regret it! If you already want to become active here at Sydskånska, click here. How do I pick a nation? Once you have been accepted as a student at Lund University you sign up as a member of Studentlund. You can read more about how that works here. There are plenty of nations in Lund, all of them are a little bit different from the other, and you should of course join the one that suits you best! It’s a good idea to walk around and visit the nations in person, that way you can get a feel for what kind of place it is, and then you can choose the one that feels the most “you”! When you have decided which nation to join, you need to visit that nation to get registrated as a new student. Here at Sydskånska Nationen we say that we are the nation where the music matters, which means that we put a lot of effort into arranging the greatest clubs and live shows. At the same time we also offer some of the best food that nation life has to offer; there’s always a vegetarian option and we always put our soul into the cooking. Something else that we value highly is an equal and conscious student life, and we welcome everyone under our roof. Well, now you know a bit more about what a nation is – the choice is up to you. Sydskånska is open weekdays between 10 am to 6 pm from January 14, 2019, if you want to know more about us just drop in, grab a coffee and hang out with us for a while! PS. You’ll find us at the top of Tornavägen 5, right next to LTH.